Take a guided tour of the south of Western Australia. 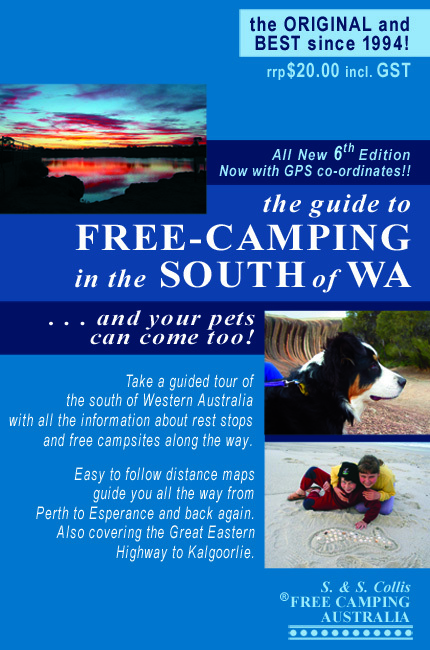 You'll have all the information about rest stops and free campsites from Perth to Esperance and along the Great Eastern Highway to Kalgoorlie. This book is packed full of information on 120 sites. Wonderful beachside, riverside and forest campsites where you can either camp free of charge, or for a minimal fee. Best of all, you can take your dog, cat or other pet along with you! 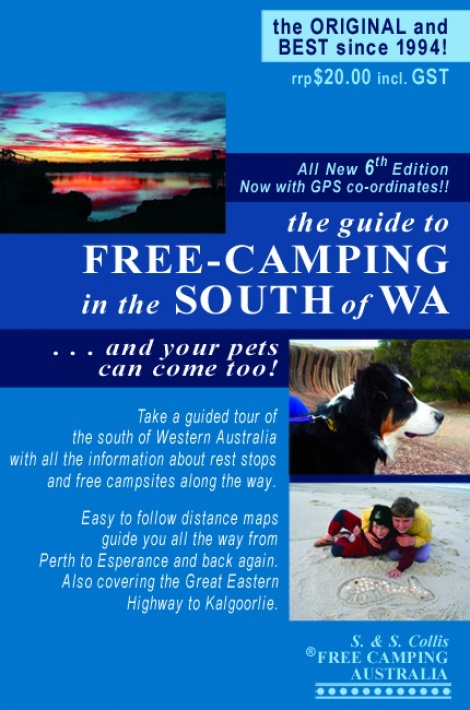 This book is a must if you want to experience the best campsites W.A. 's south west has to offer! For postage within Australia go here.